To view the original post on LancasterOnline, click here. Saba Adana and Olayinka Credle have felt the frustration of being unable to find quality hair products designed for them, and seen the struggles of single mothers striving to provide for their families. 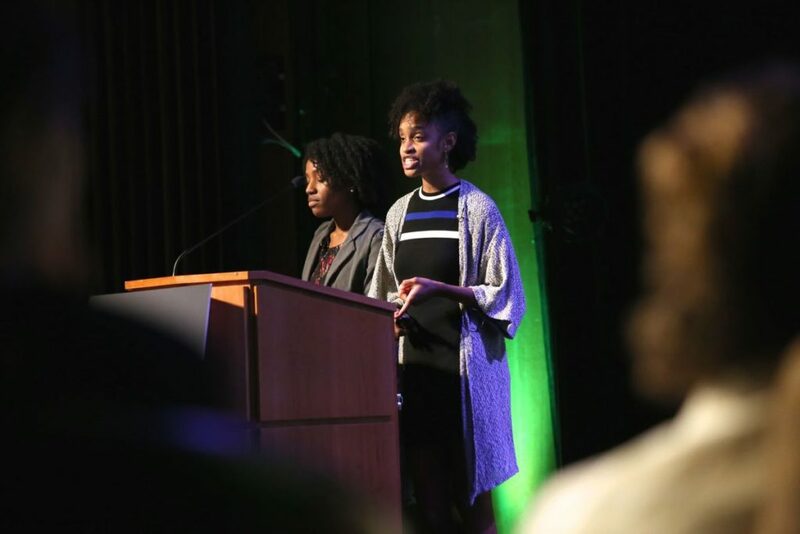 On Friday, their plan to address both of those concerns by making chemical-free beauty products for women of color took first prize in Lancaster’s third annual Great Social Enterprise Pitch, winning $7,500 and free business services. Lancaster County Community Foundation and Assets Lancaster organize the program to encourage social enterprises — organizations that perform a social good while also making a profit. Their leaders said Friday that the five finalists, as well as about two dozen others who participated in the nine-month program, illustrate that well. Olayinka Credle and Saba Adana pitch an ethically-made personal care and beauty products, Melanin Essentials, at The Great Social Enterprise Pitch on Friday, Sept. 30, 2016. Each made a five-minute pitch to a panel of judges and a live audience of about 350 people, and each elicited a roar of support from the crowd. Then, while the judges deliberated, Matt Stinchcomb shared his vision for social enterprise, which he believes has power to change the world. A former vice president at Etsy, the massive online marketplace for unique goods, he now serves as executive director of the the Good Work Institute, which advances that vision. Then the judges announced the rankings, with each finalist winning a cash prize and free business services. Luis Miranda won second with BootCamp900, which offers fitness training in low-income communities and has been running a 60-minute weight training program in southeast Lancaster city. He also won the audience vote. LaShonda Whitaker won third with 5 Loaves Food Co., a company that supplies locally sourced healthful food to childcare centers. Kristin Snyder won fourth, with Sophie Stargazer Boutique, which features brands committed to ethical sourcing and production. Heather and Michelle Long won fifth with WIN Workplace Solutions, a temporary, portable space that employers can offer to breast-feeding women.